A guide for Saratogians lacking green thumbs. 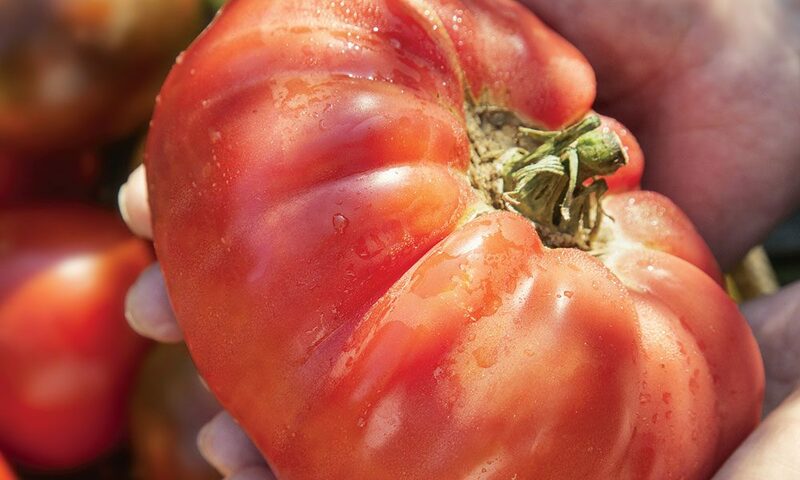 For many, summer just wouldn’t be summer without the garden-fresh tomato. Tomatoes have never had it easy. Despite their sweet, bright and tangy nature, they have never been the star of the show. The truth is, we would be lost without them. Pasta would be plain without a hearty sauce. The BLT would lose the delicious layer that separates the bacon and lettuce. Salads would lack their colorful disposition. Caprese Salad would cease to exist. In the late 1700s, many Europeans actually feared the tomato. ​Today, the tomato is a Superfood, packed with vitamins A, B complex and C, as well as potassium and lycopene. Lycopene, which is responsible for the red color, has been studied for its role in fighting cancer and lowering cholesterol. Not all of us are blessed with a green thumb. Here are some tips for growing tomatoes from Melinda Myers, host of “The Great Courses: How to Grow Anything” series. Get grounded. It all begins with the soil. “Add several inches of compost, peat moss or other organic matter to the top six to 12 inches of soil,” Myers says. “This improves drainage in heavy soils and increases water-holding capacity for sandy or rocky soils.” Quality potting mix is a must for containers, along with a slow-release organic nitrogen fertilizer like Milorganite. “It will help encourage plant growth without interfering with flowering and fruiting,” Myers says. Don’t forget the TLC. Water plants well, keeping the soil moist but not drenched. “Add a layer of shredded leaves, evergreen needles or other organic material to conserve moisture, suppress weeds and moderate soil temperatures,” Myers says. In midsummer, give the plants a nutrient boost with Milorganite. Also, be on the lookout for weeds, bugs and potential disease. Bite-sized tomatoes, such as Red Robin and Sweet ‘n’ Neat, are great for salads, appetizers and popping in your mouth as a snack.